SeaWorld would have us believe that they are a stellar corporate citizen, committed to research, education and the welfare of not only the cetaceans in their facilities, but of all who live in the ocean. They argue that they are being unfairly targeted by environmental extremists, animal rights activists, and filmmakers who are out to make a name for themselves at the company's expense. Of course this is not so, as shown in the award-winning and highly influential documentary "Blackfish" (see also "Death at SeaWorld: Shamu and the Dark Side of Killer Whales in Captivity" by David Kirby as well as this and this). Recent events, however, have put the company in a different light for Dr. Thomas White, ethicist and author of the highly acclaimed book "In Defense of Dolphins: The New Moral Frontier." 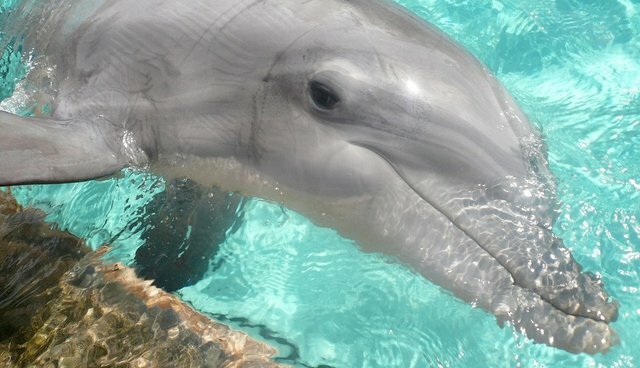 At the 14th International Conference of the American Cetacean Society (ACS) conference last November, a panel was held about captivity, consisting of representatives from two captive facilities (SeaWorld and Dolphin Research Center), the prominent anti-captivity marine mammal scientist Dr. Naomi Rose and Dr. White. Right before the session began, however, the panelists were told that, unlike all of the other sessions at the conference, the captivity panel wasn't going to be recorded. SeaWorld had made the request, and in the spirit of making sure that all perspectives were represented, the ACS agreed. Dr. White's take on the move? "SeaWorld must have known how inappropriate it was to make such a request at a scientific conference. I suspect that the reason was so that there wouldn't be a record of serious professionals like Naomi and myself objecting to captivity. SeaWorld likes to portray critics as "radicals," and the fiction is easier to maintain as long as there's no evidence to the contrary." Dr. White's response? Because openness and transparency are the hallmarks of science and research, he's uploaded an extended version of his original presentation in two parts to YouTube called "The Presentation SeaWorld Asked Not to be Recorded." His PowerPoint presentation can be seen here. Dr. White's talk describes two separate ethical issues. First, he explains why captivity is ethically indefensible and argues that given what we now know about the intellectual and emotional sophistication of the dolphins and orcas, it's impossible for captivity to provide them with the conditions they need in order to flourish, that is, to grow and to develop in a full and healthy fashion, physically and emotionally. From an ethical perspective, that makes captivity indefensible. Of course, Dr. White is not alone in making this claim (see also David Kirby's book and "Captivity Drives Killer Whales Crazy: SeaWorld Fights Fines For Placing Profit Over Safety"). The unique part of Dr. White's presentation, however, comes from his perspective as a business ethicist (please see note below). He argues that SeaWorld's current financial troubles (weak stock price, lowered analysts' ratings, projected layoffs, quarterly losses and the like) are self-inflicted and represent a serious breach of the company's duty to its shareholders and stakeholders. "Senior management and the Board of Directors," argues Dr. White, "appear to lack the technical skills required to see that everything from scientific research to the shifting values of their key demographic make it clear that as long as captivity is part of SeaWorld's business strategy, the company cannot succeed. The company has the potential to be hugely profitable. But it will never happen as long as captivity is in the mix. In the meantime, shareholders and employees are paying a steep price." I'm happy to help Dr. White spread the word about his presentation and what happened at the ACS meeting. Full disclosure is the only way to go, and, of course, he and others who criticize SeaWorld are not the "radicals." Note: Thomas I. White, Ph.D., is the Conrad N. Hilton Professor in Business Ethics and Director of the Center for Ethics and Business at Loyola Marymount University in Los Angeles, California. He is also a Fellow of the Oxford Centre for Animal Ethics, a Scientific Advisor to the Wild Dolphin Project and served as U.S. Ambassador to the U.N.'s Year of the Dolphin. Links to his presentation on YouTube can be found on his website: www.indefenseofdolphins.com.